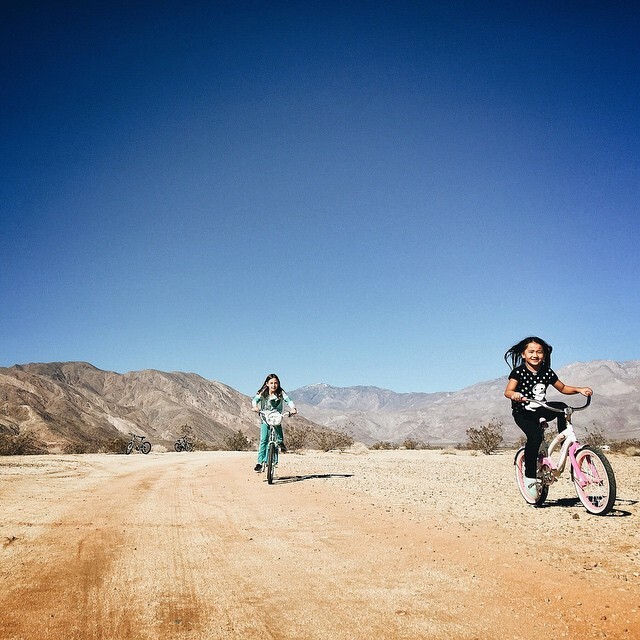 Mali Mish – Anza Borrego: New Years 2015. 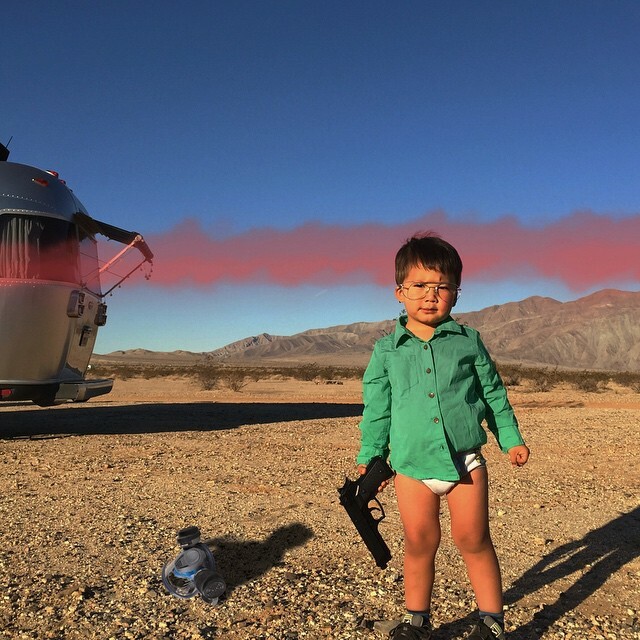 One of the photos we have been meaning to stage for our Instagram account is Luka as mini Walter White. It stemmed from everyone always commenting on our feed Breaking Bad related references whenever we are camping in the desert. It got very old very fast but we figure we needed to give them what they want. We have had this green shirt, fake glasses and BB gun from Walmart in our trailer since spring looking for the right moment for this shot. This is what we came up with. 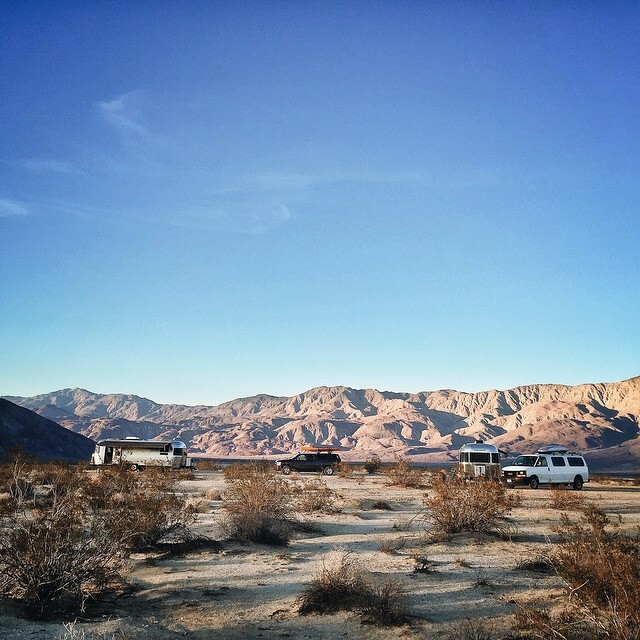 When we got to Borrego Springs, Kerri was the only one here. She had gotten here a couple of days before us and we joined her as we braced for a cold storm rolling in tonight. Can’t wait to take a deep breath of the desert air as the first few drops start to fall. 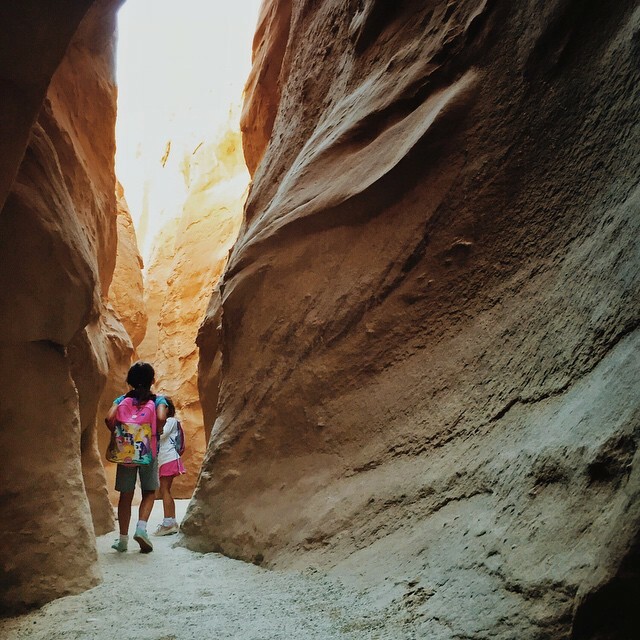 During our first couple of nights we were joined by a couple of other people we know through Instagram. To the left is @ShopTheLivingRoom. 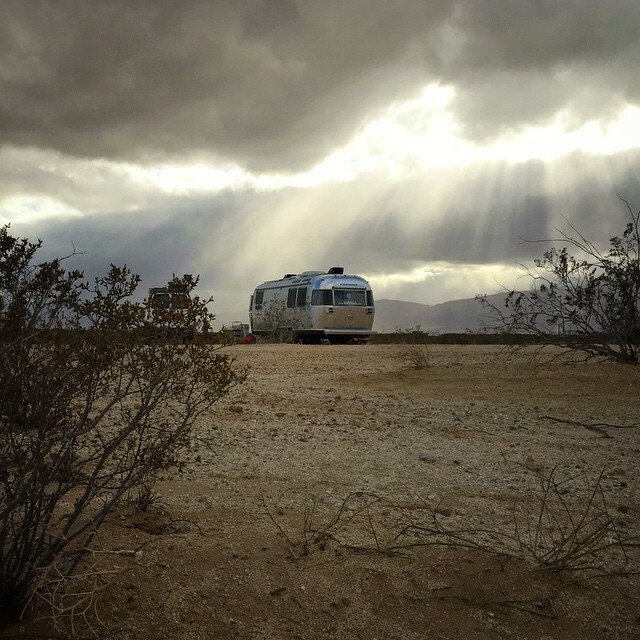 They are a couple of friends who bought a vintage trailer together for $50 and fixed it up to travel as a pop up vintage shop. 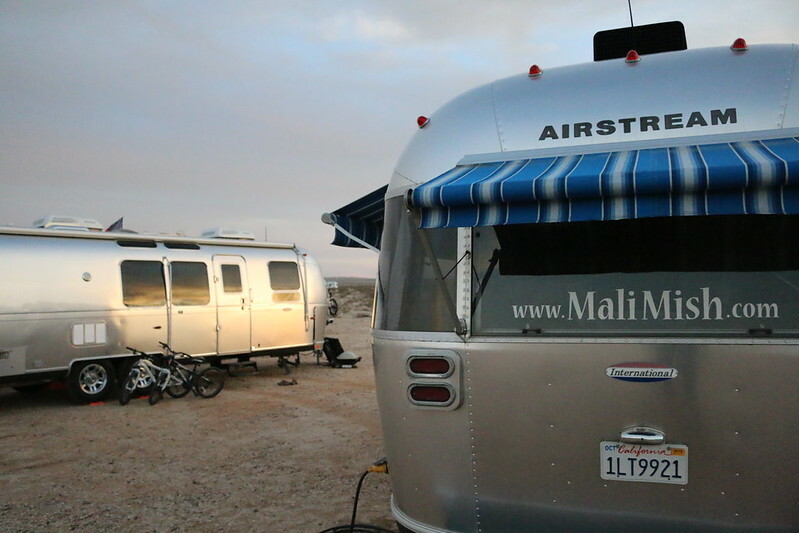 The other Airstream is @rosiestreams. 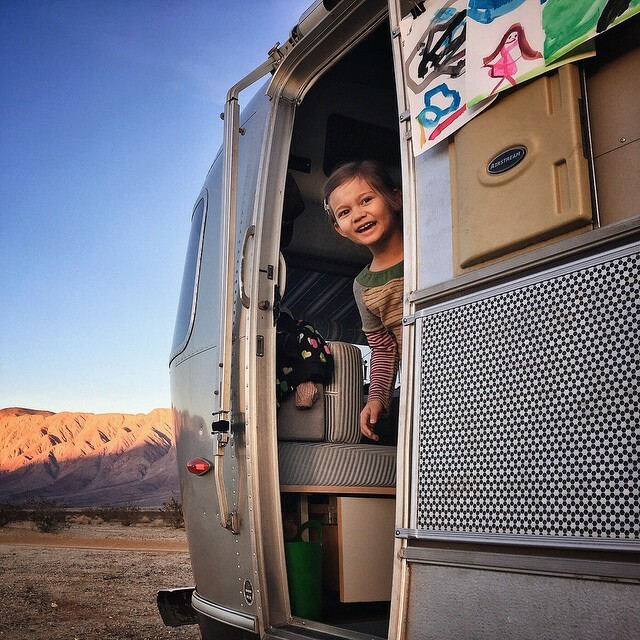 They are a couple from the California Bay area that have recently bought an Airstream and is spending many of their weekends exploring the west. 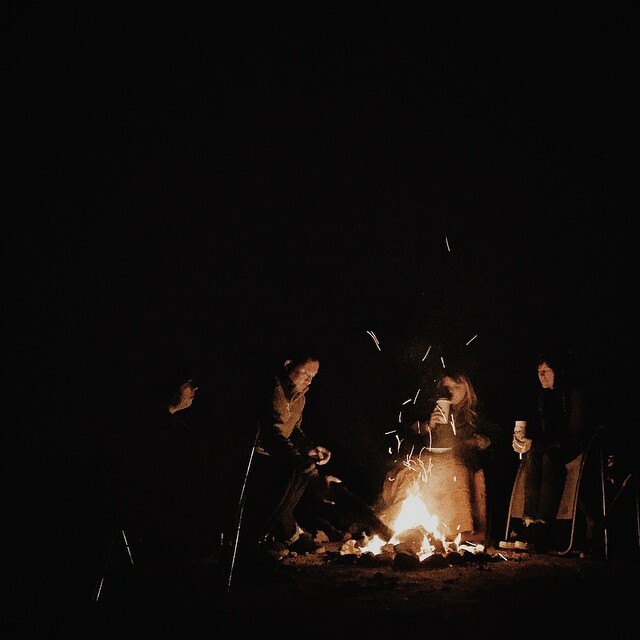 The nights are still a little chilly as we huddled around a fire to keep each other company. 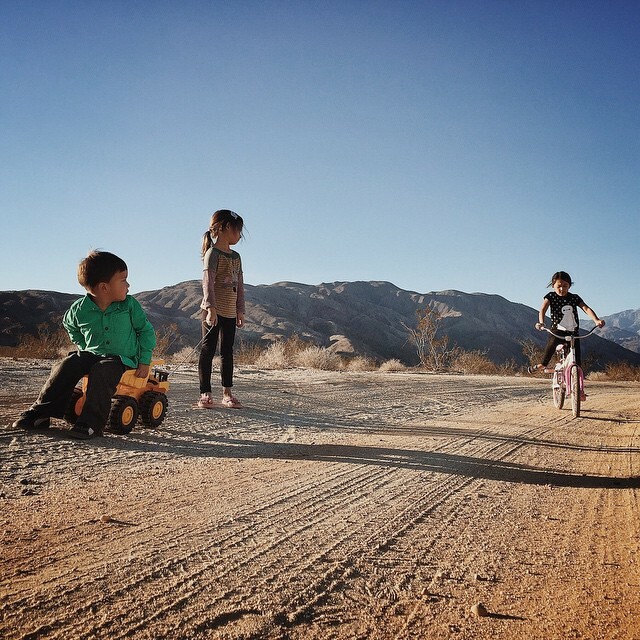 For Christmas, Mila had asked for a bicycle and along with Ava’s bike that we picked up from Marlene’s parents house, they are very excited to have these wide open spaces to roam. The clouds loomed over just as New Year’s Eve was approaching. 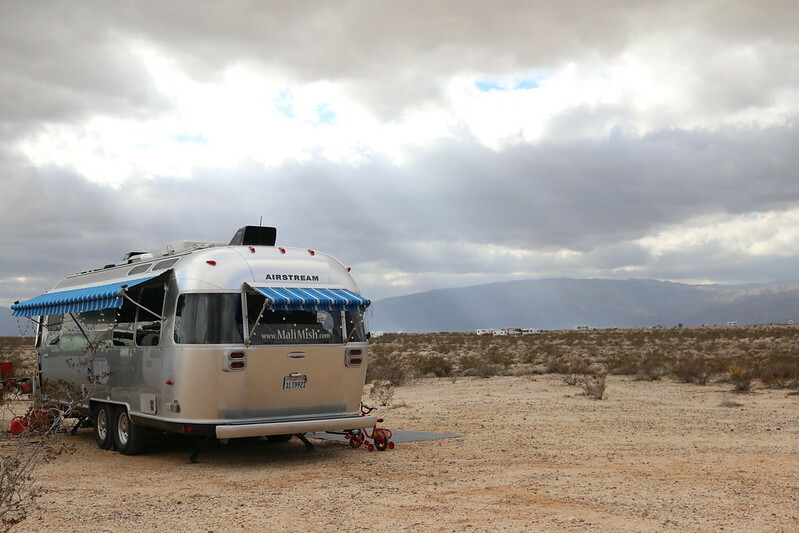 We have plans to hangout with some friends in Orange County so we left the Mish in the desert and escaped the cold for the night. 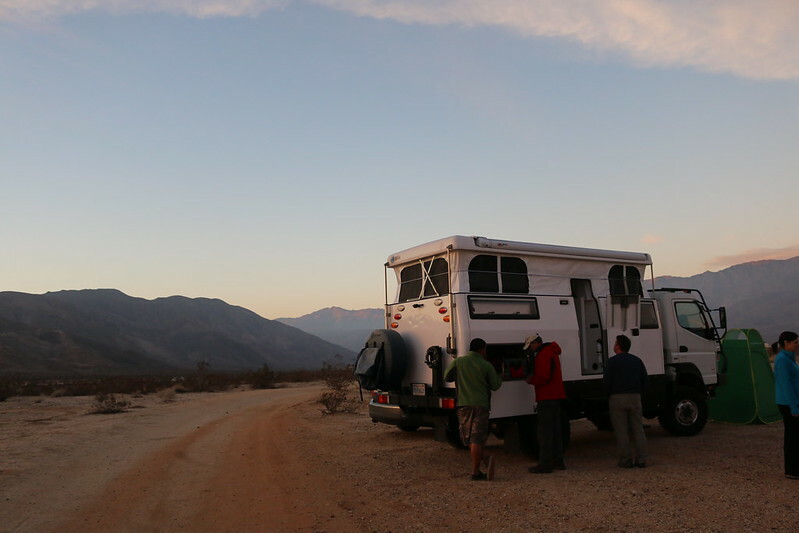 We made it back to Borrego Spring the next day after spending some quality time with old friends. 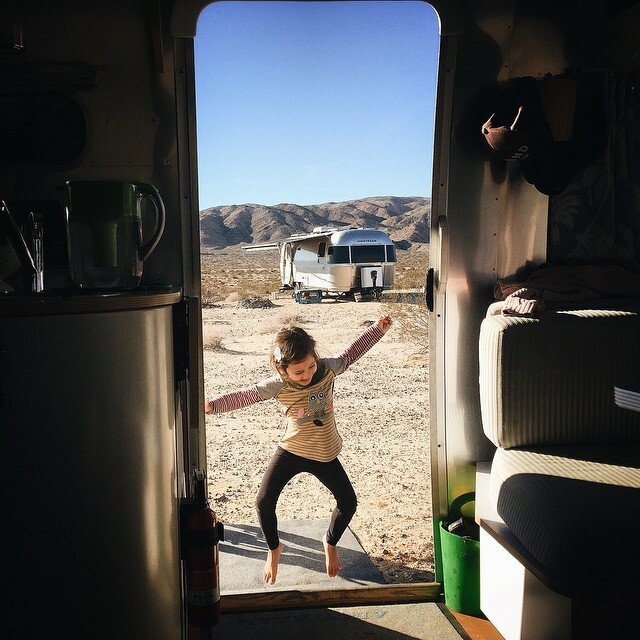 They actually borrowed their parent’s travel trailer and came back with us for a few nights to mingle with our new vagabond friends. I took the opportunity of some decent weather and downtime to do some maintenance on the roof. While we were back in southern California, I took advantage of a delivery address and ordered a few items like this telescoping ladder. 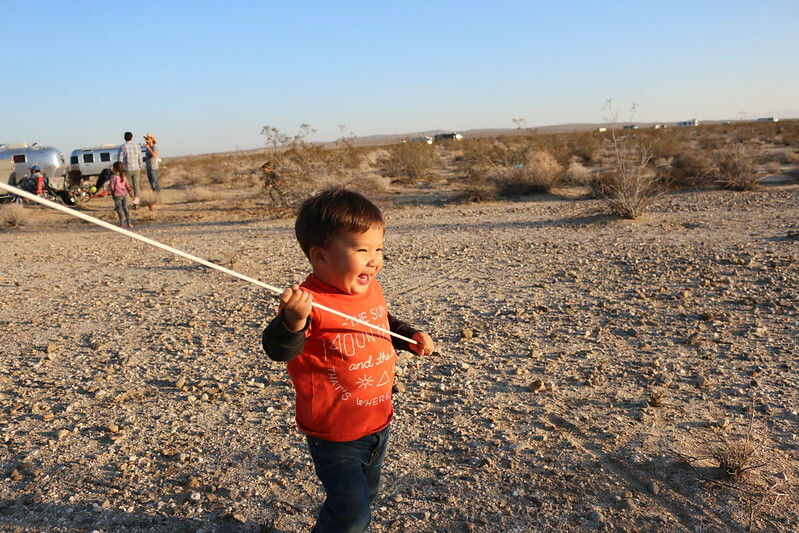 We were soon joined by @upintheairstream and their two boys Ryan and Jack. The bicycle gang is growing. 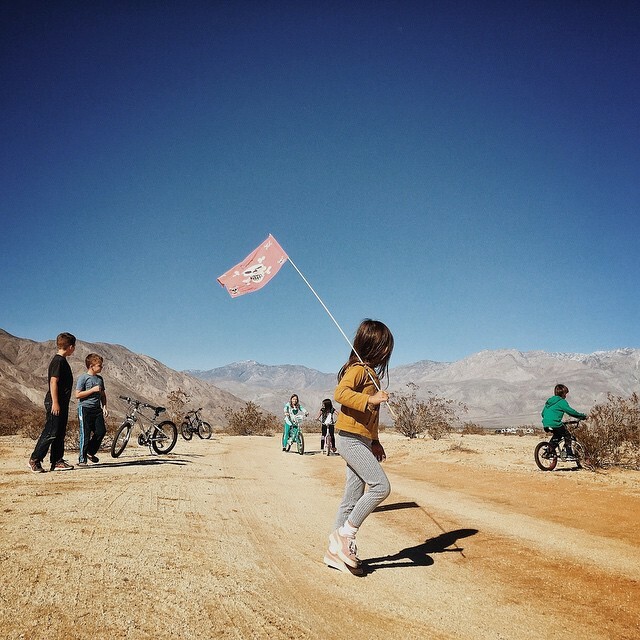 The pink pirate flag the girls found during The Dust Bowl 2014 is coming in handy to help them identify themselves to other desert gangs. 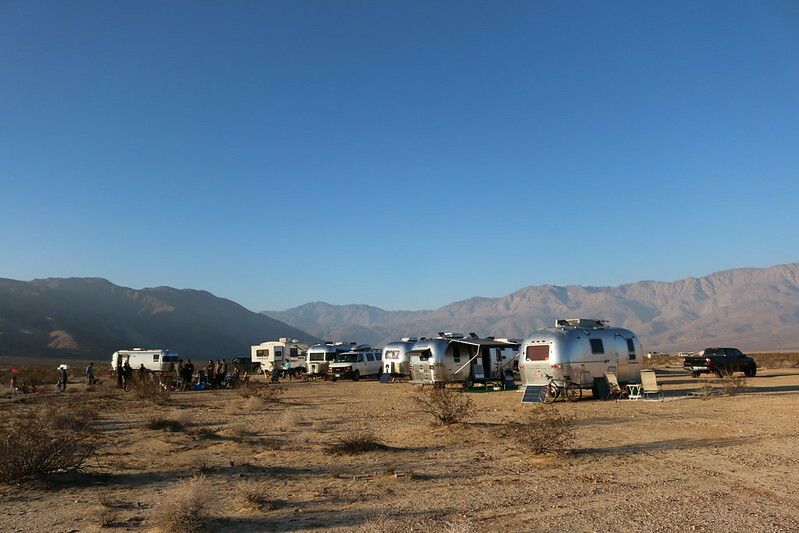 As the days went on, this Borrego Springs gathering started to pick up some more steam. 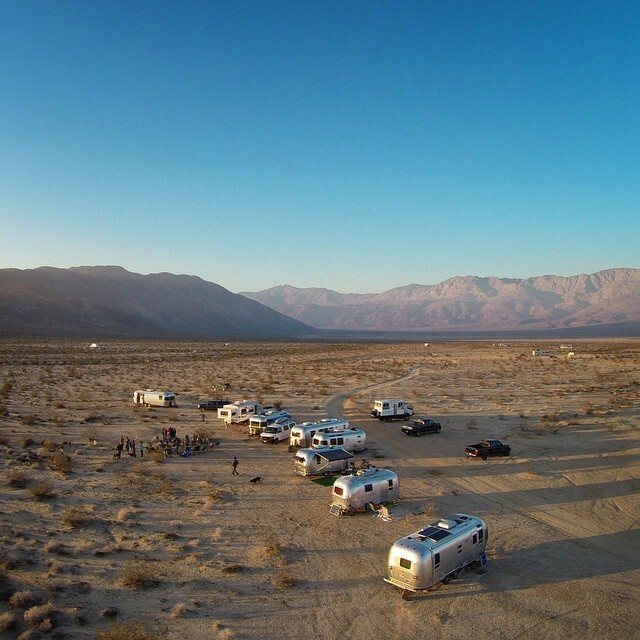 It got a little hard to keep track but we probably had more than 20 RVs that came together here from all over the country. 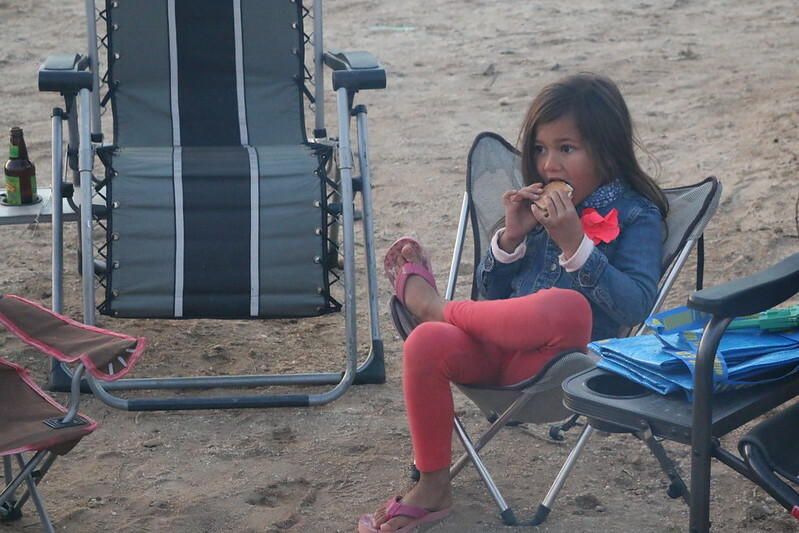 Unlike our meetup in Joshua Tree, this came totally organically and by word of mouth. We were here last New Years and had a very intimate and quiet time with just a couple of friends. 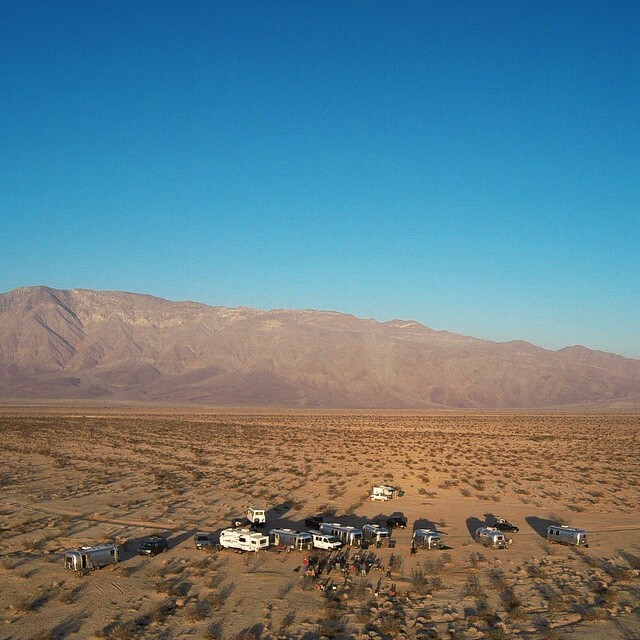 Unlike the Joshua Tree Dry Lake bed, we could not all fit together in the same area. 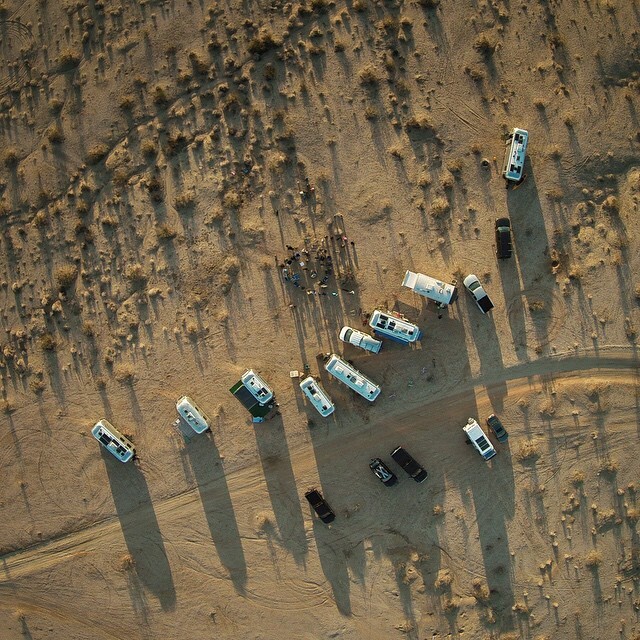 A few of us lined up along the dirt road and a few others parked all across the desert. 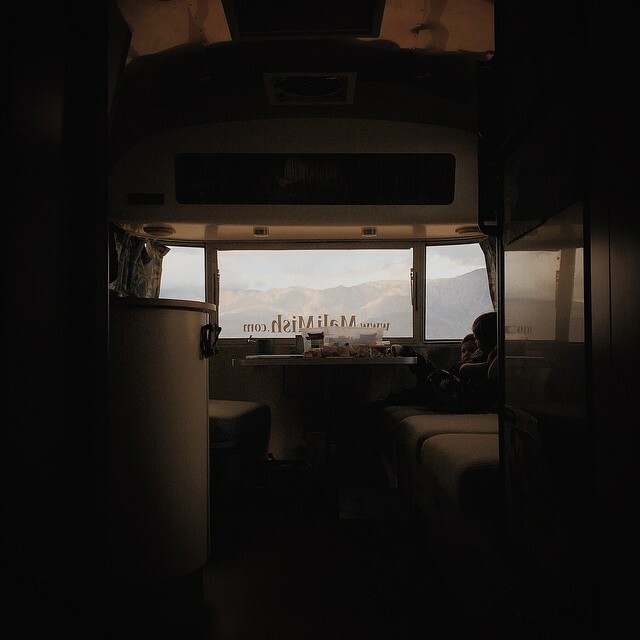 Each afternoon right around happy hour, we gathered together like a band of gypsies that lasted late into the night. Every now and then you can hear the shriek of Luka as he makes away with the pirate flag. 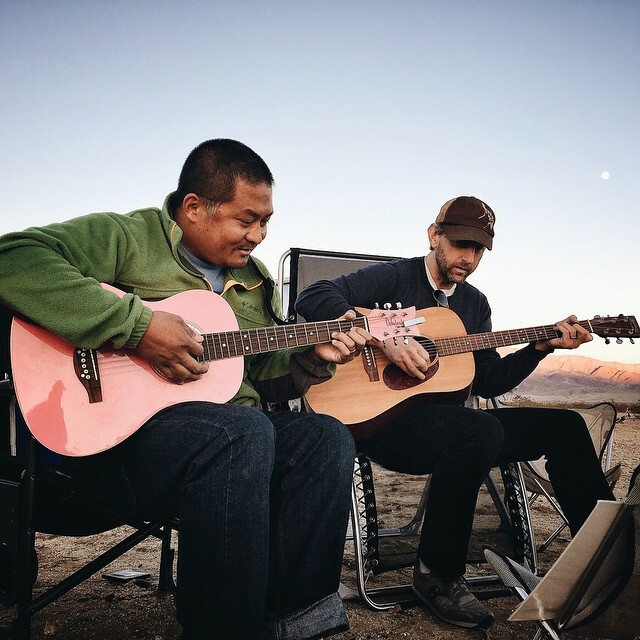 Our friend Dan and I did our best to entertain the crowd with some tunes. That’s right, that is my pink guitar. Well, it’s Ava’s really but I have no shame in playing it. 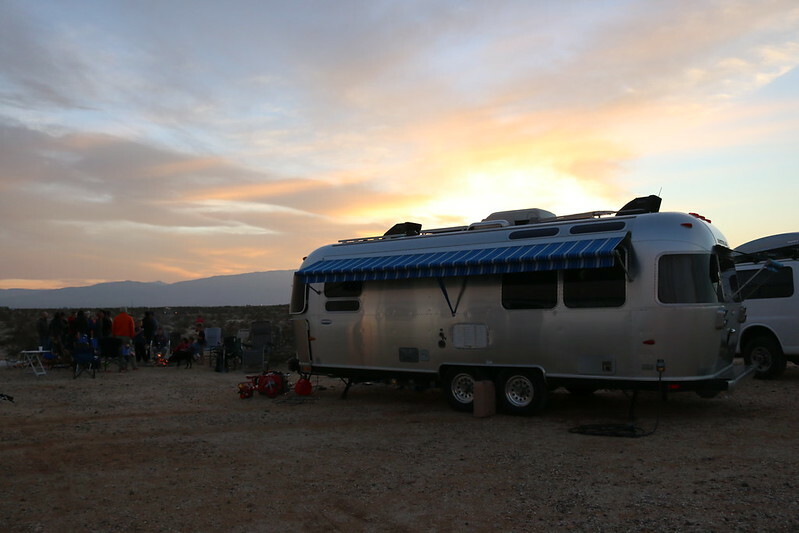 A few in our group are not yet full timers and many are not Airstream owners (GASP!). We actually really love meeting up with anyone who is living or just intrigued with this lifestyle of full time traveling. 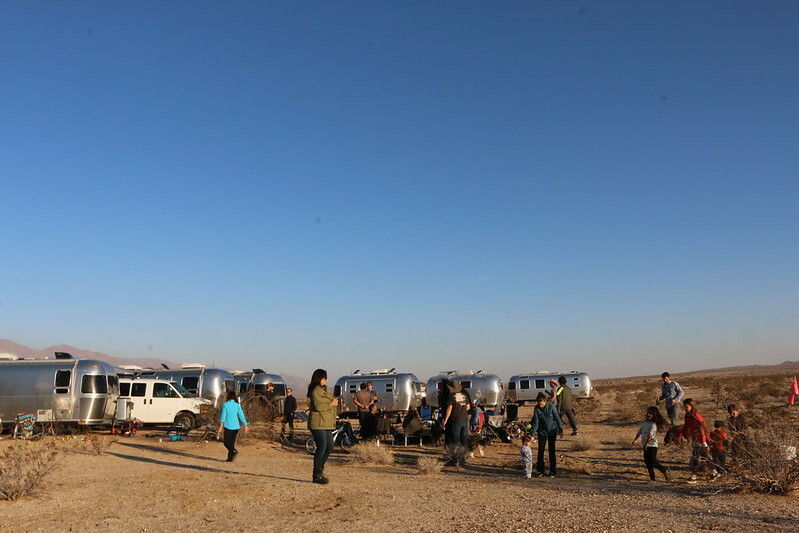 Airstream owners do tend to flock because of our common interests but we are by no means exclusive to the brand. I mean just look at this Earthroamer. How awesome is that? This one is owned by @kruisinkaren and her husband. 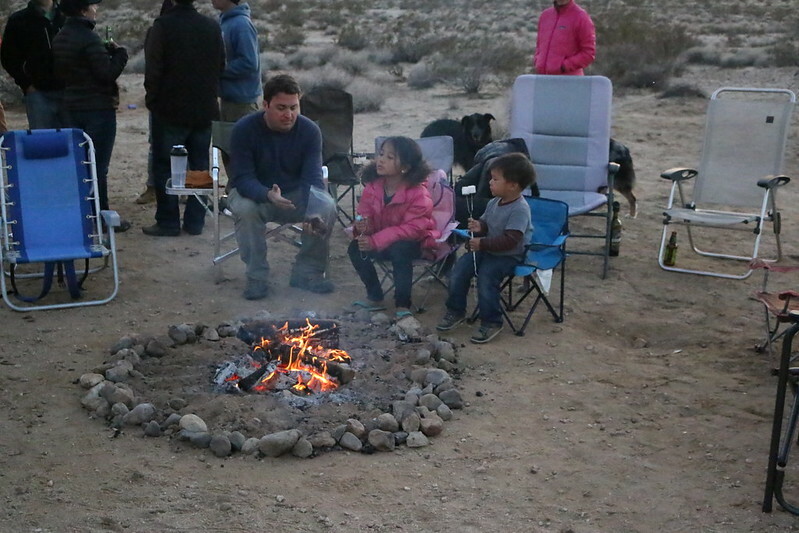 We met their daughter Brianna and son-in-law David last spring and were excited to see them here in the desert. These Earthroamers are unbelievably well engineered. Every little detail is carefully thought out to allow the owner to travel the ends of the earth.According to the guidelines on shelterstation.com.au, it is even designed so that it will fit perfectly inside a shipping container. 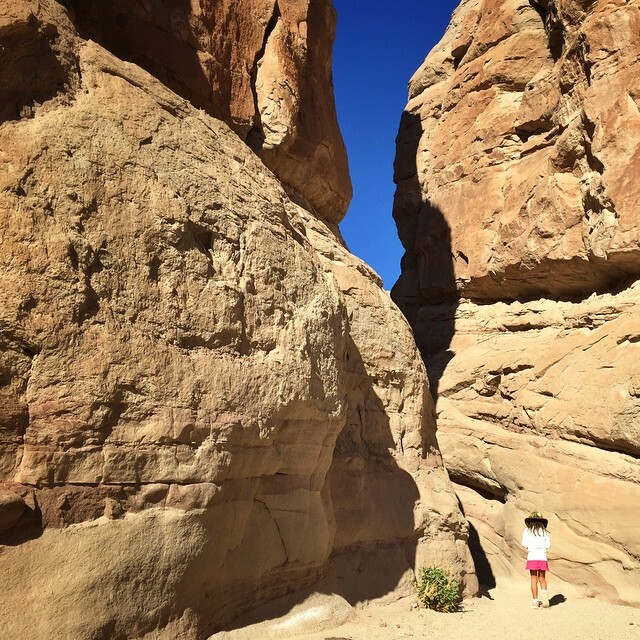 Besides hanging out with friends old and new, we took an afternoon to explore the nearby slot canyons of Borrego Springs. 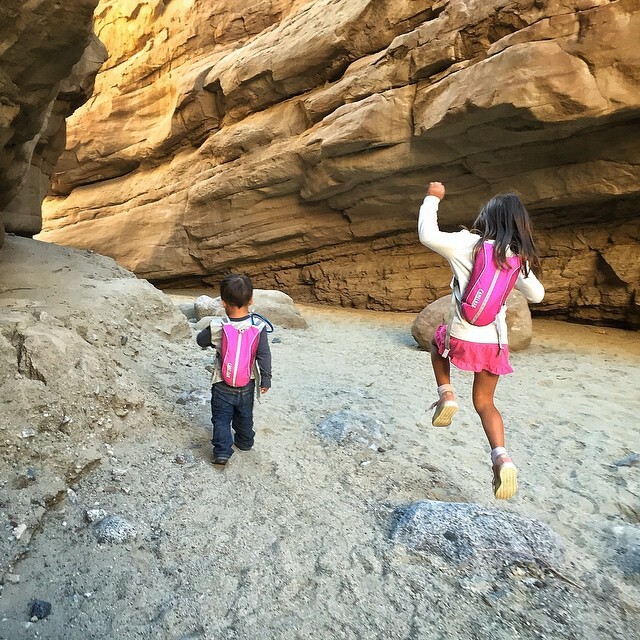 These two have become quite the hikers. Luka is trying to get there. 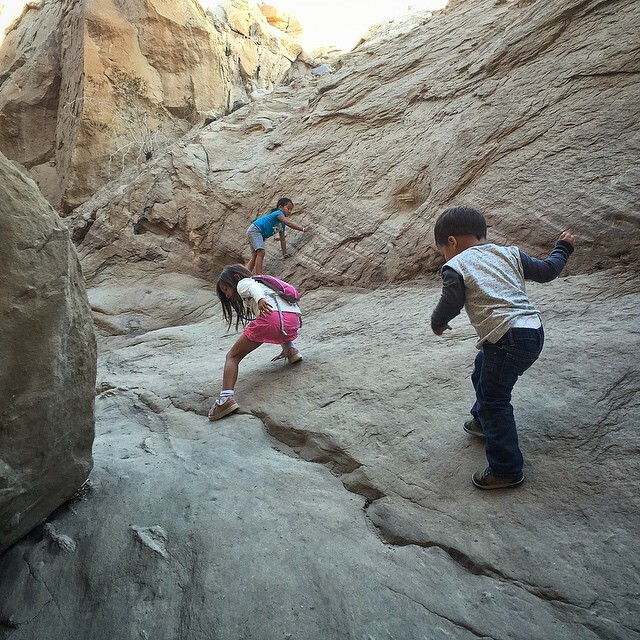 He loves scrambling with his big sisters but still prefers to be carried by Marlene over the long stretches. Before we know it, he will not need us any more. 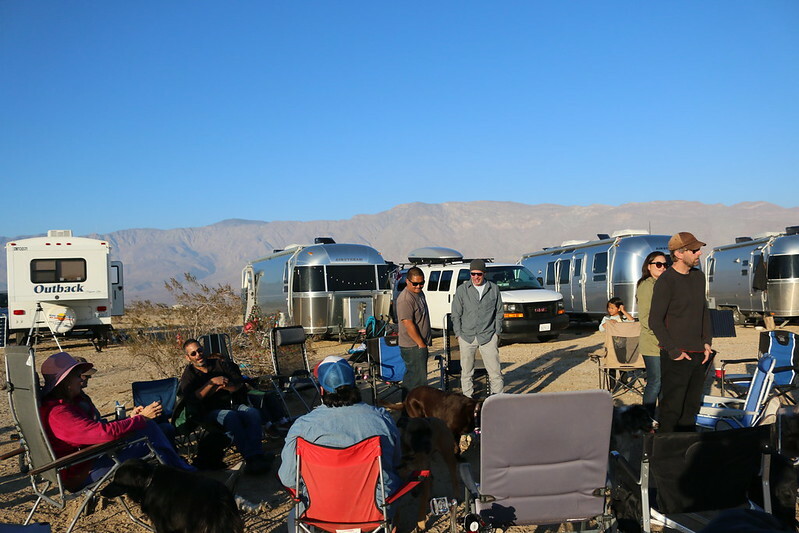 Our time at Borrego Springs was very special and we are thrilled that this is becoming an annual tradition. 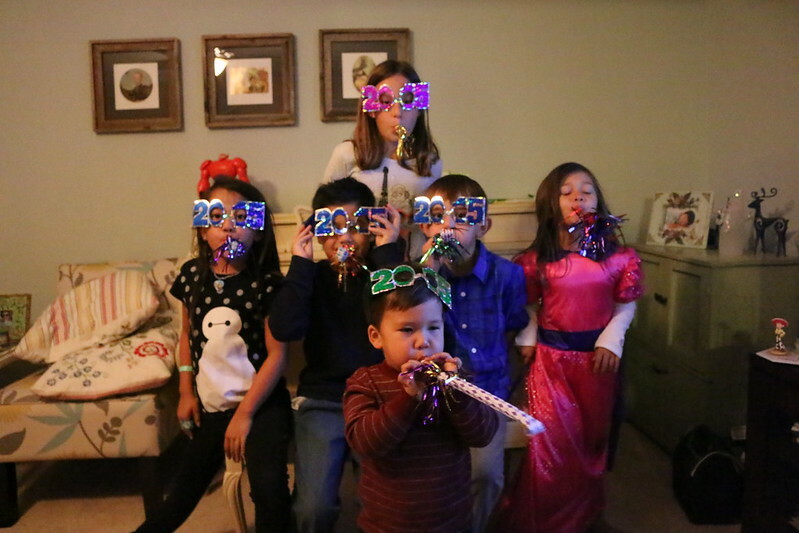 I can’t wait until New Year 2016 but I am sure we will see many of our traveling friends on the road until then. 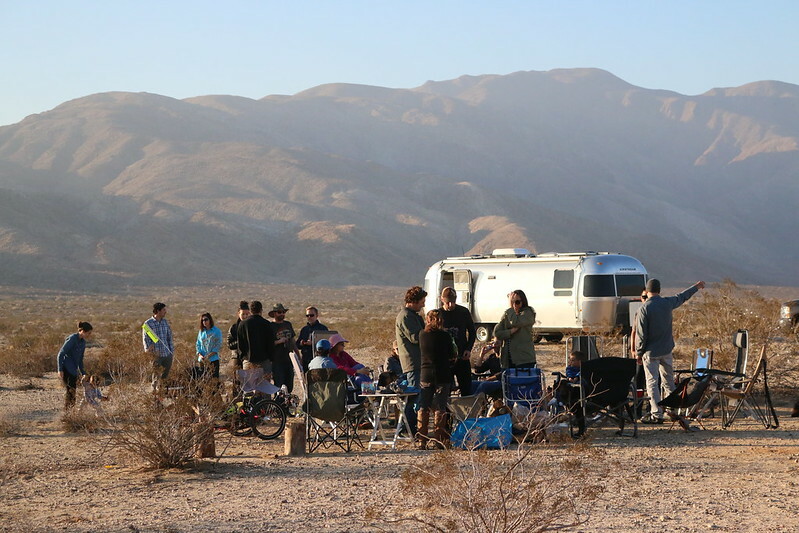 One Response to Anza Borrego: New Years 2015. Hi Dan, thanks for taking the time to post such a interesting blog. 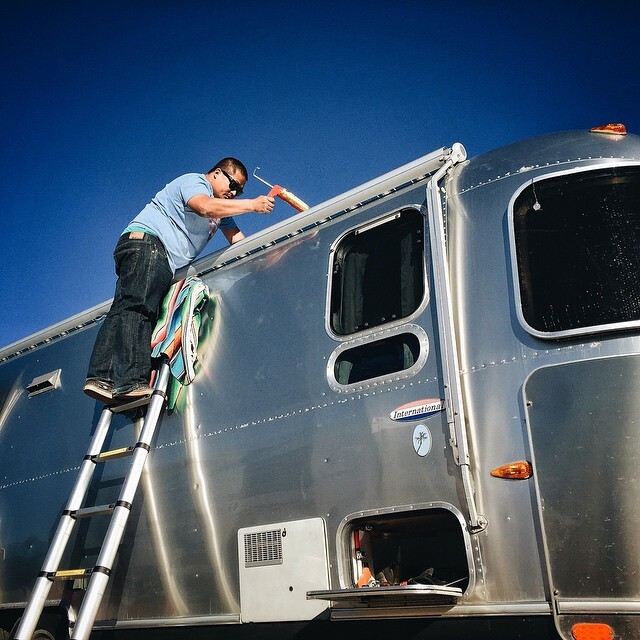 I was curious about the maintenance you had to do to the roof of the airstream. Did you have a leak? 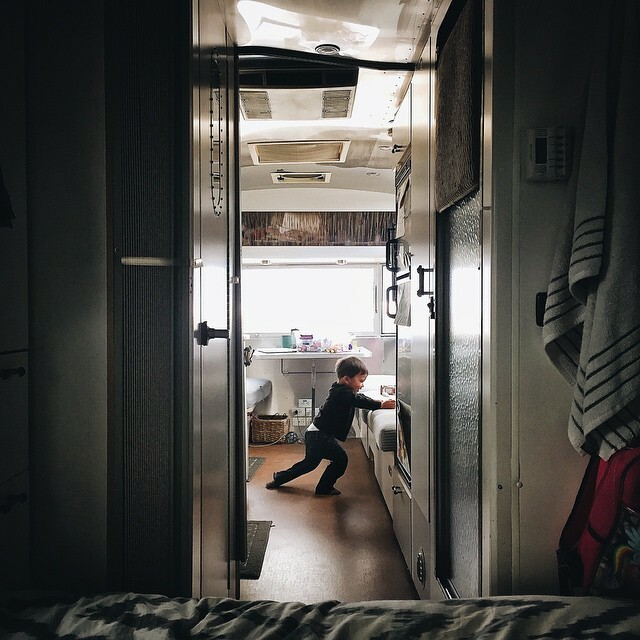 I have been living I travel trailers for five years now and every one I’ve had has leakes…nothing a little butyl rubber couldn’t fix though. 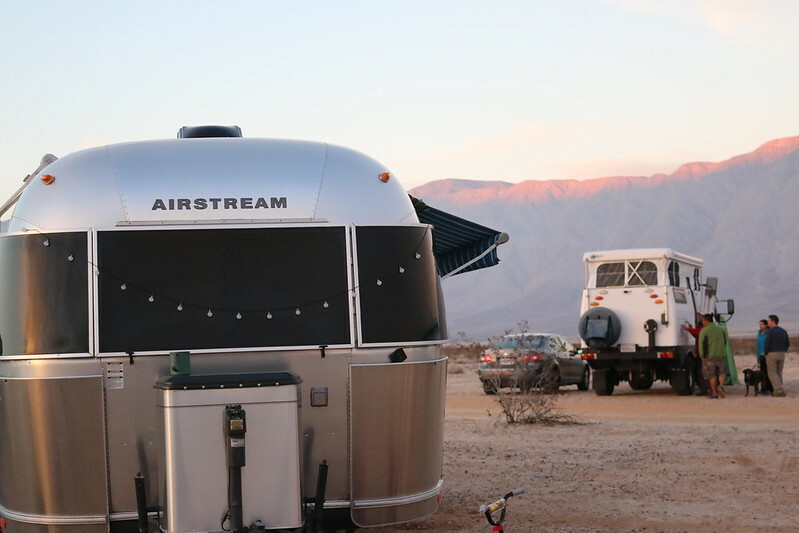 I was hoping to one day invest in an airstream, in hopes of not having to deal with leaks and short falls of cheaper trailers. So, what have you had to do for maintenance on your rig?